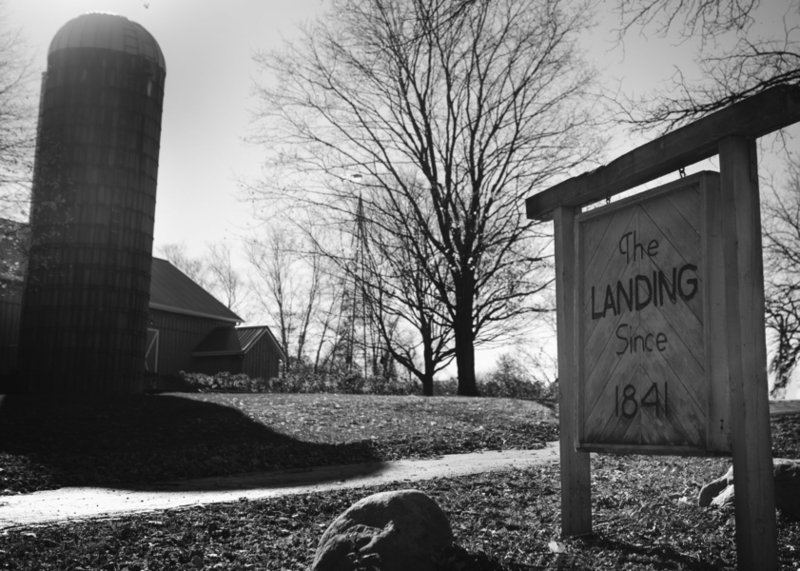 Once part of the Underground Railroad, The Landing 1841 draws its name from the year it was built and its location alongside the banks of the White River in Burlington, Wisconsin. 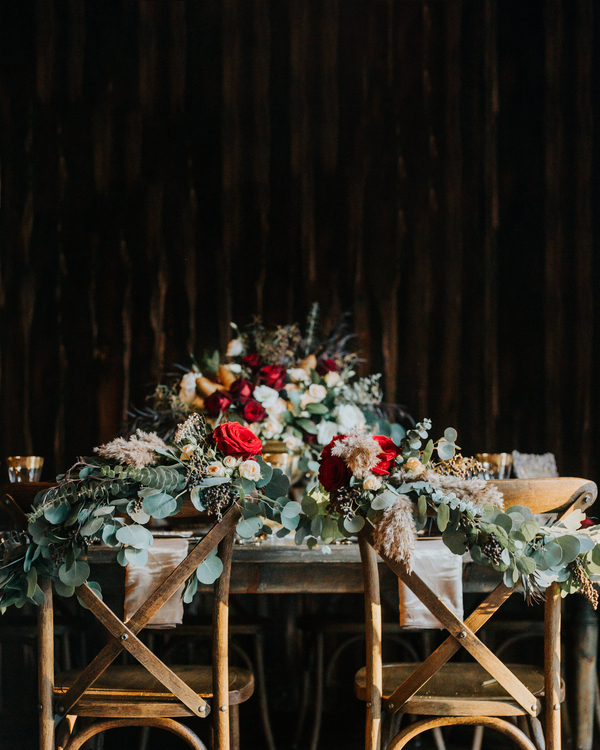 This rustic barn recently-turned-wedding-venue, also served as a studio to renowned artist Matt Lamb who used it as one of eight ateliers he had scattered throughout the world. Drawing on the venue’s legacy and the year 1841 – the same year famous French impressionist painter Renoir was born – this inspired shoot evoked a bit of the “Parisian artist” influence. 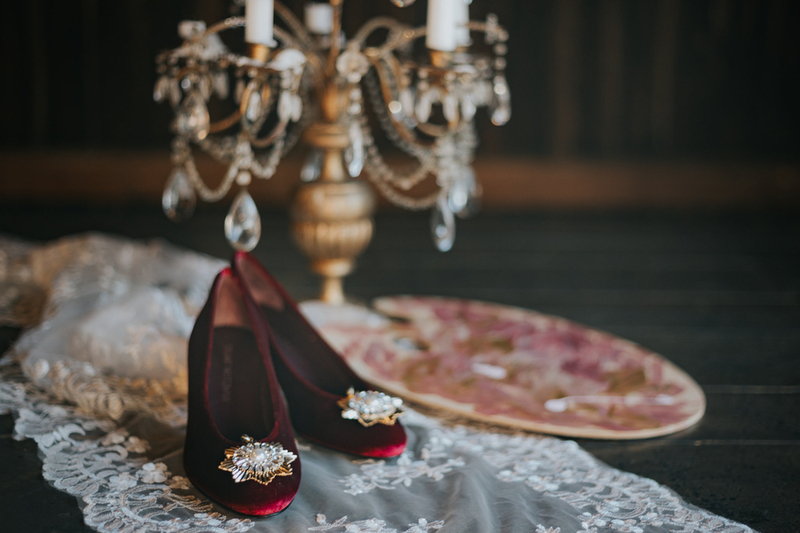 Thoughtful touches are in abundance -- from an oil painting portrait of the Liancarlo Couture wedding gown used in the photo shoot to the French heraldic wax seal and vintage French postage stamps gracing the hand-wrought invitations. 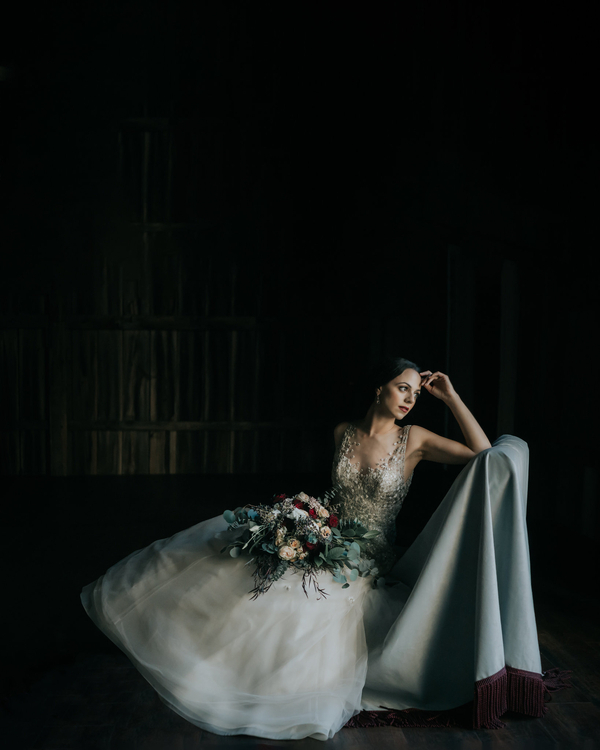 Lisa Kathan Photography eloquently captured the drama and artistic romance of the day: from the exquisite wedding gown, to bridal portraits that echoed an artist’s muse posing for a painting. 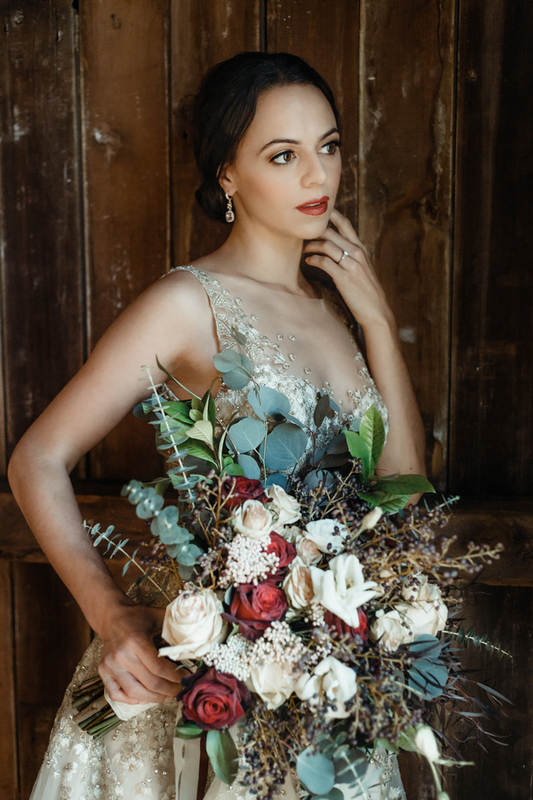 Alison Buck Floral Design’s centerpiece combined fruits and florals reminiscent of a still-life, and her gorgeous cascading bridal bouquet was properly accented with antique French velvet ribbon. Even the address on the invitation envelope, beautifully nibbed by Bien Fait Calligraphy, gives nod to the Paris arrondissement that was once home to some of the world’s most famous painters. 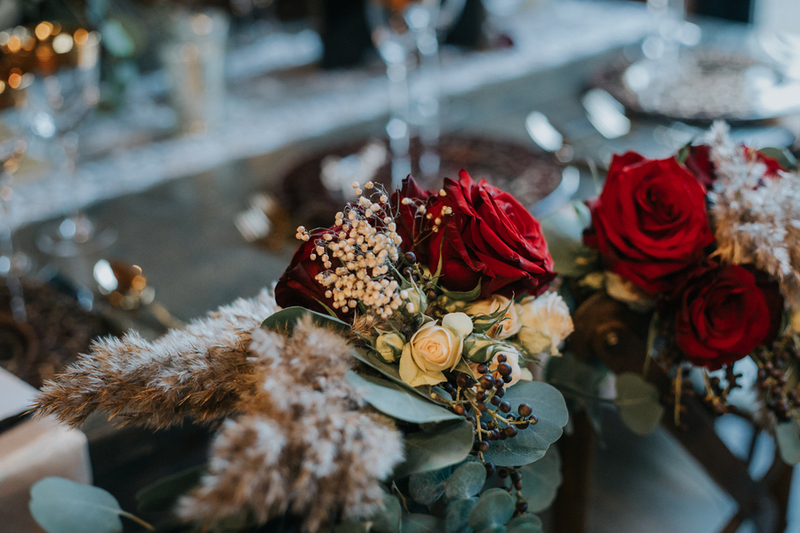 Table names -- the artist's signature -- corresponded with miniature masterpieces and paintbrushes imprinted with the guests' names and seating assignments. 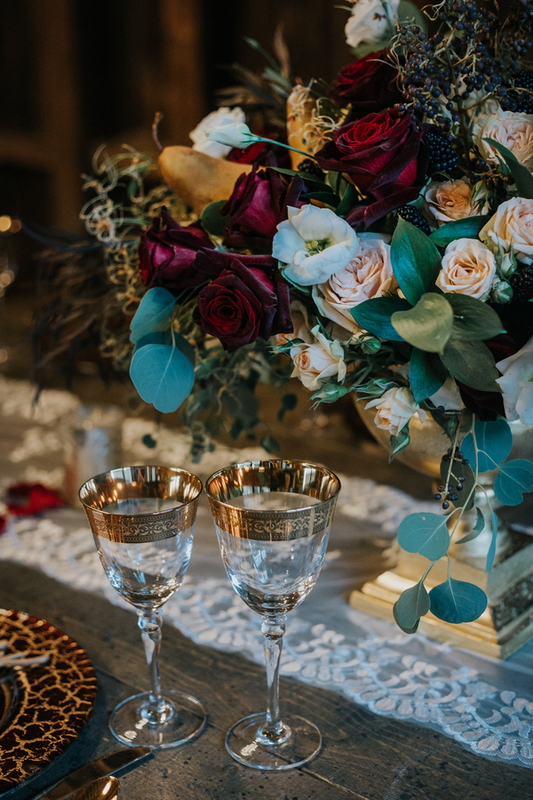 Dreamy candlelight, luxury tablesettings from Tablescapes Event Rentals and an exquisite, edible organic and locally sourced gold-flecked wedding cake, designed by Cacao Sweets and Treats, perfected the details for this artist-inspired shoot.